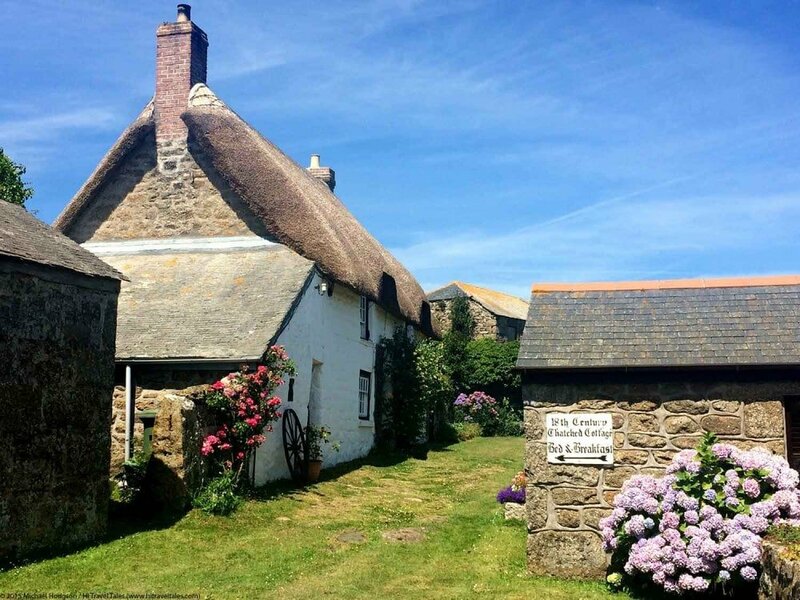 In our Photos of England slide show, showcasing some of our favorite destinations in England from our travels, you will be able to find hidden and wonderful places you will want to put onto your own travel list next time you plan a vacation to England. Simply click on any thumbnail to move through the slides. 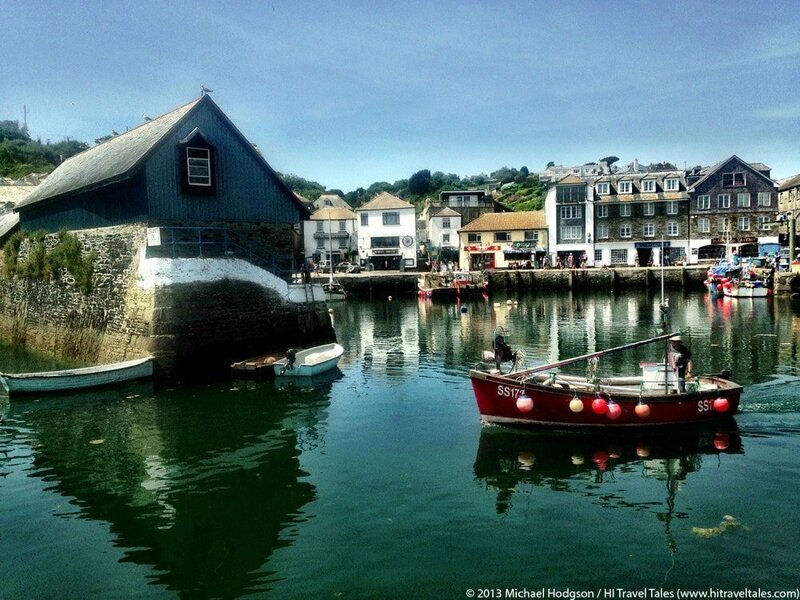 Fishermen still work the ocean from the harbor of Mevagissey where sea-faring history is fondly remembered — including pirates and fishermen as well as naval exploits. 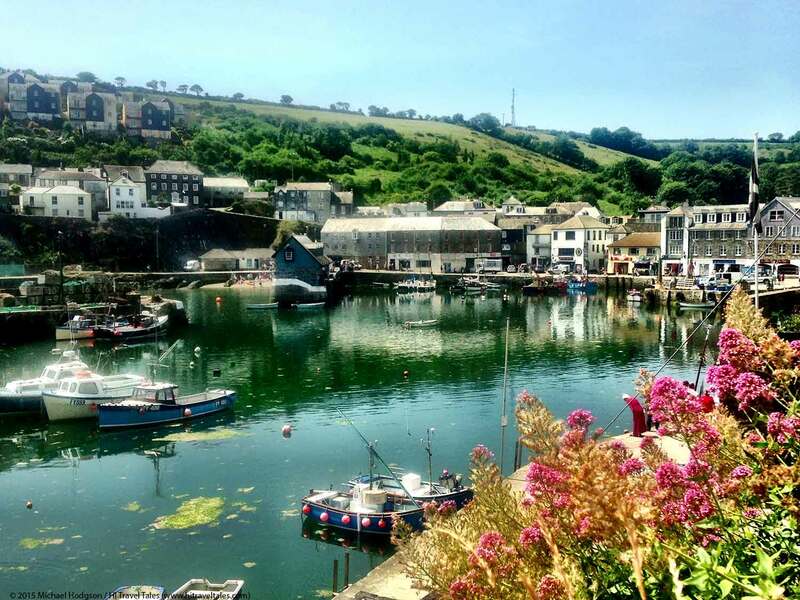 Mevagissey is like many of the quaint fishing villages along the coast of Cornwall — colorful, picturesque and begging to be explored. 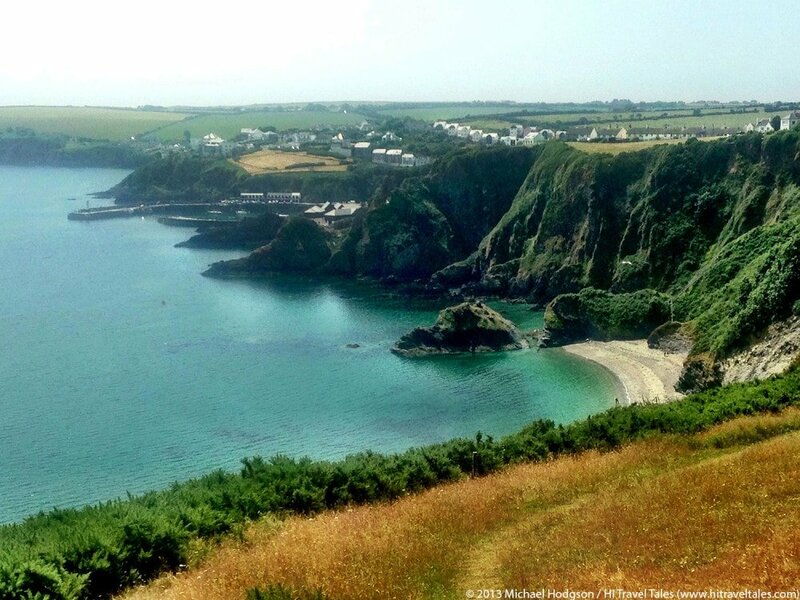 This view is taken from the official Coastal Path heading down into the harbor. 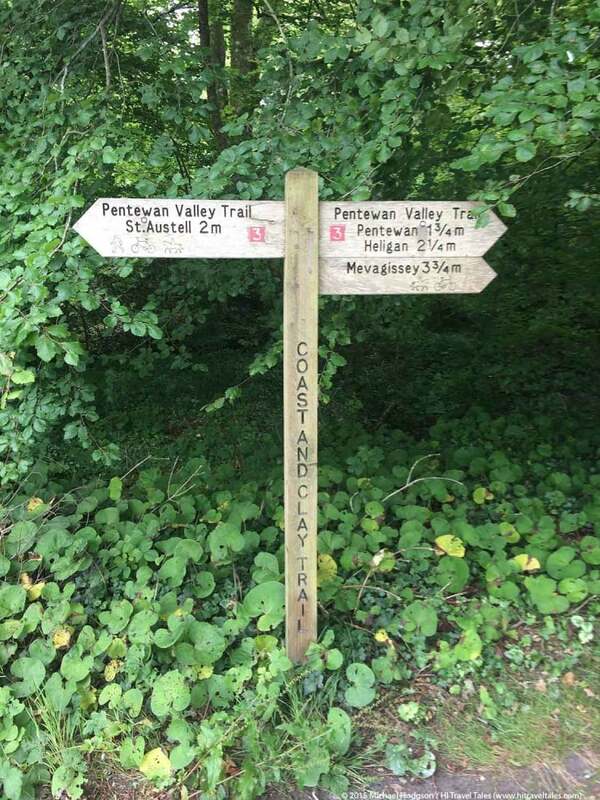 The path connects the town of Pentewan and Mevagissey along its route following the entire coast of Cornwall. 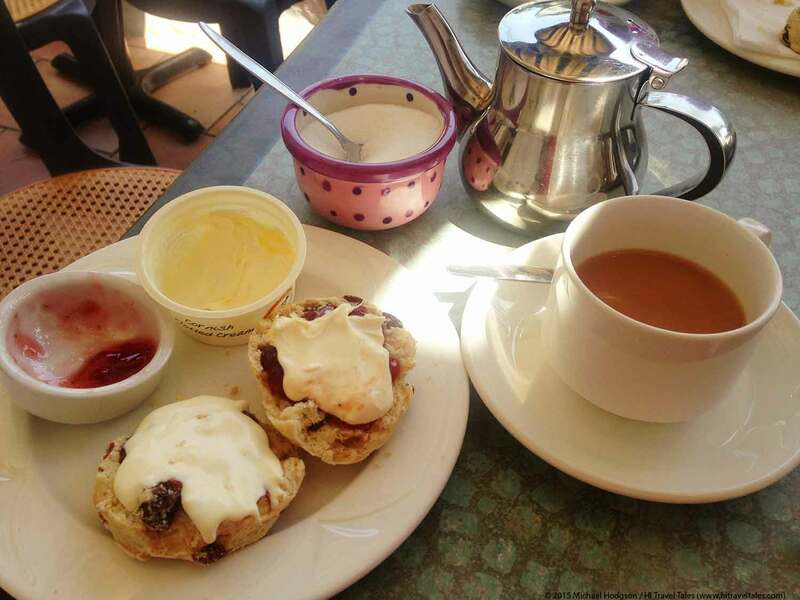 In Mevagissey, Pentewan or any other quaint Cornwall village, be sure to take time to enjoy an afternoon Cornish cream tea … a decadent delicacy of scones, topped with fresh strawberry jam and a hefty dollop of clotted cream (Warning: This is not diet food!). Tea is a given. This delightful tea was set at The Cove Inn sitting on the outside patio in Pentewan. 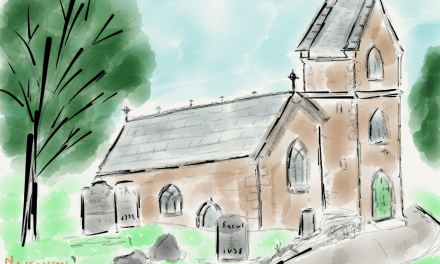 There are simply miles and miles of wonderful paths, some snaking through verdant valleys and others wandering along the coast or through villages. All are very well signed. 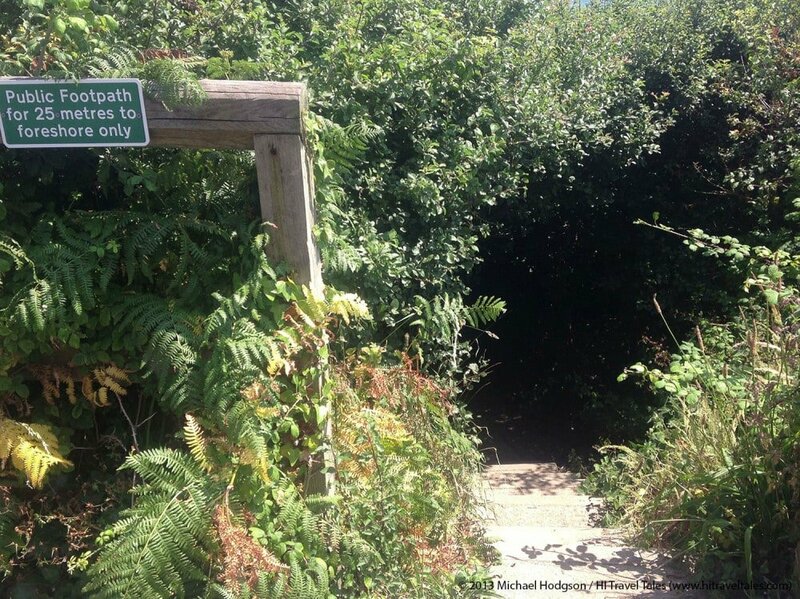 Short paths cut through hedgerows in Cornwall heading down to sheltered beaches. There, you can discover a perfect picnic or contemplation spot . 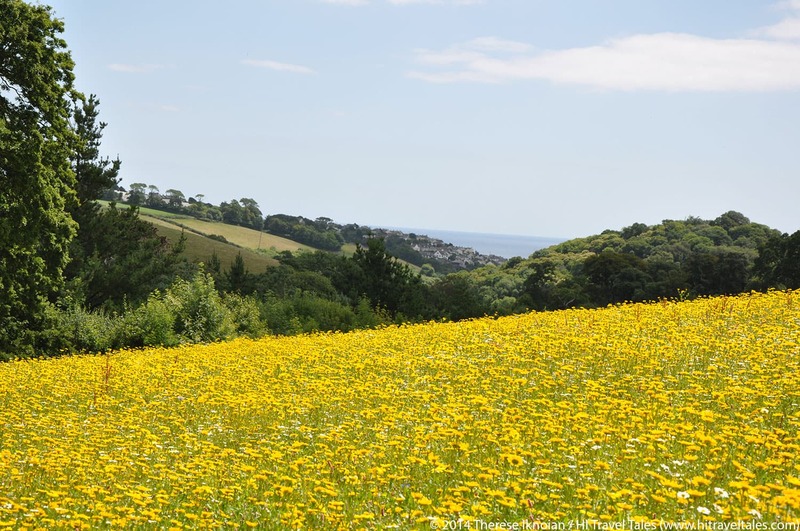 It is possible to walk the entire seaside of Cornwall on the historic Coast Path, hugging cliffs and meandering through meadows. 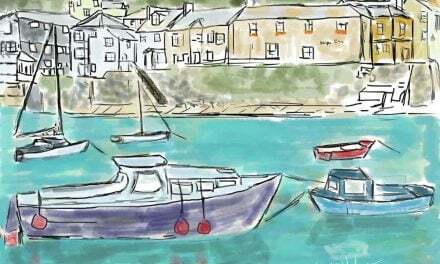 This section runs from Pentewan to Mevagissey. 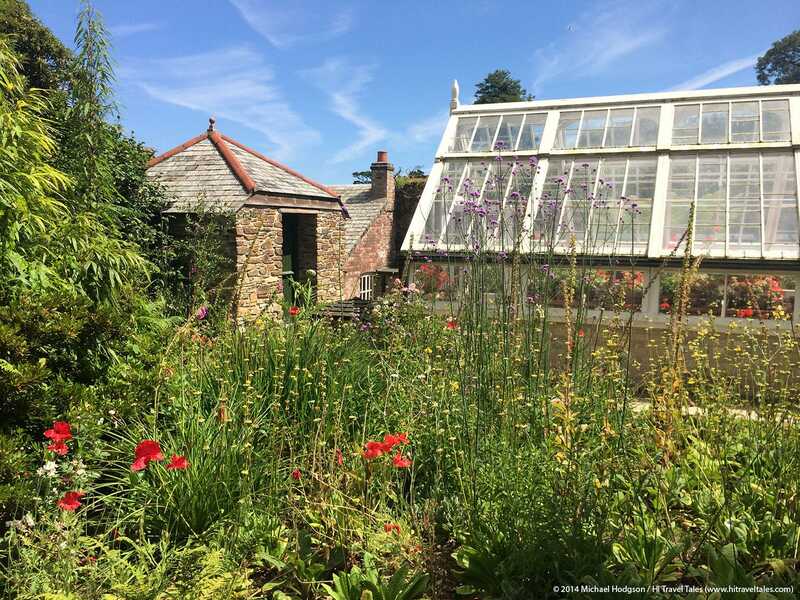 The Lost Gardens of Heligan are a botanical, archeological and historical wonder tucked onto a hillside neighbored by the quaint English villages of Pentewan and Mevagissey. 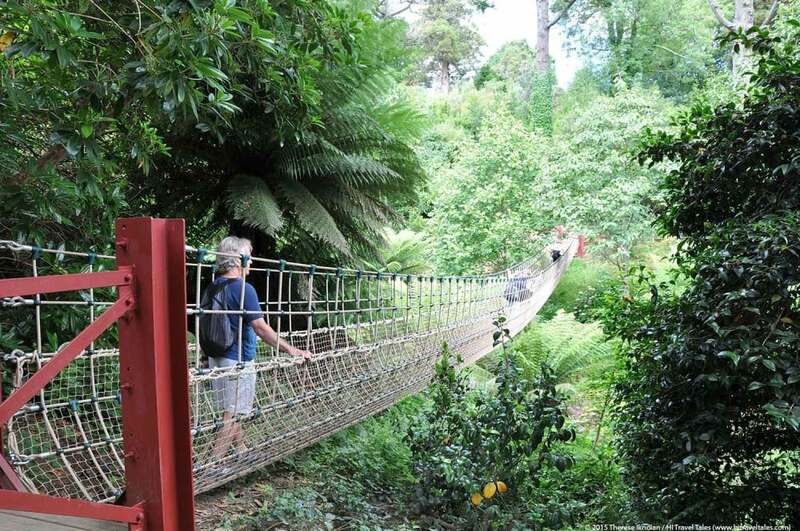 Don’t miss the new Jungle rope bridge in the Lost Gardens of Heligan (opened in April 2014) and thought to be the longest such bridge in Britain at 100 feet. Careful footing necessary and yes it does sway. 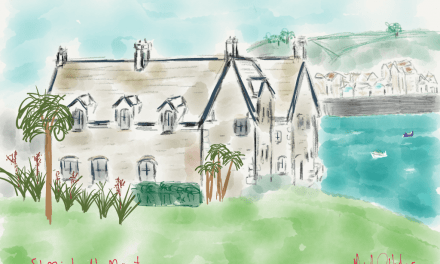 Whether you are a fan of hiking, history, flowers, botany, mysteries, or stories of archeology and restoration, the Lost Gardens of Heligan (www.heligan.com) are for you, kids and adults alike. 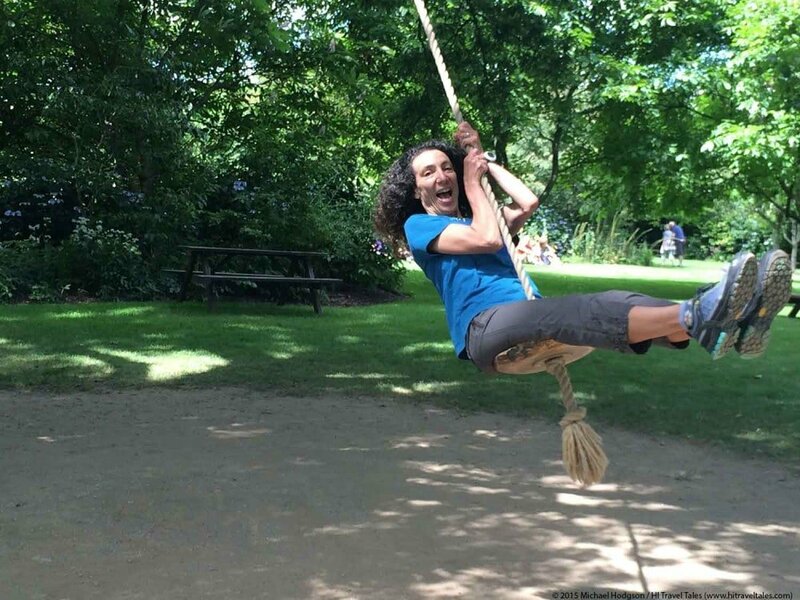 Therese Iknoian getting playful in the Lost Gardens of Heligan just outside of Mevagissey in Cornwall. You literally can get "lost" in history and delight there. 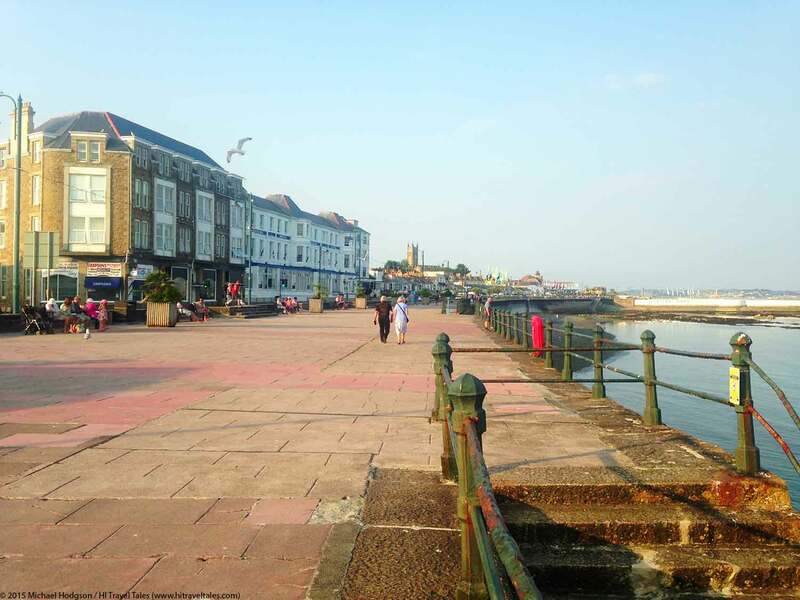 Farther to the south, one arrives at Penzance, which is a great base to explore nearby villages. The seawall walk, shown here, is an enjoyable walk to skirt the harbor and meander through several gardens. One of these is the sub-tropical Morrab Gardens are well worth a visit. Who ever said British food was awful? 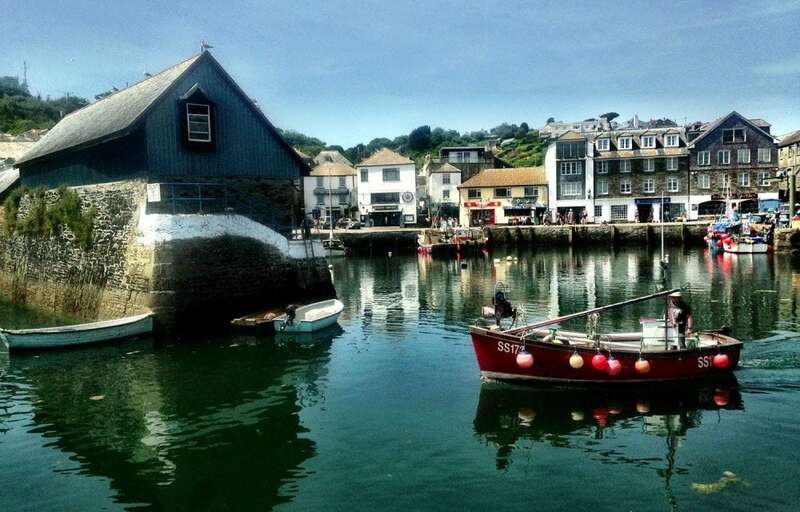 Be sure to eat at the Old Navy Inn in Penzance. 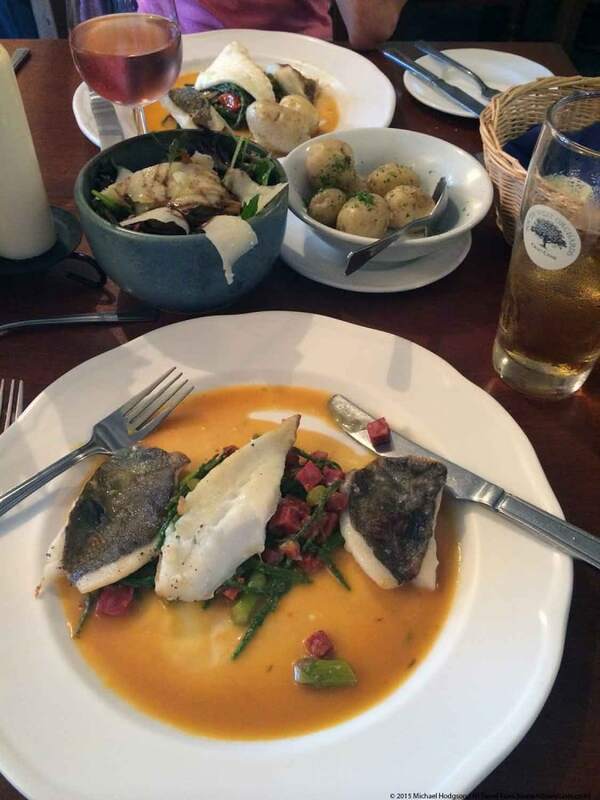 On this evening we were enjoying locally caught a fish specialty with John Dory and turbot with asparagus samphire chorizo with lemon sauce and a parmesan salad with potatoes. She had a rose wine, and he had a delicious English cider. 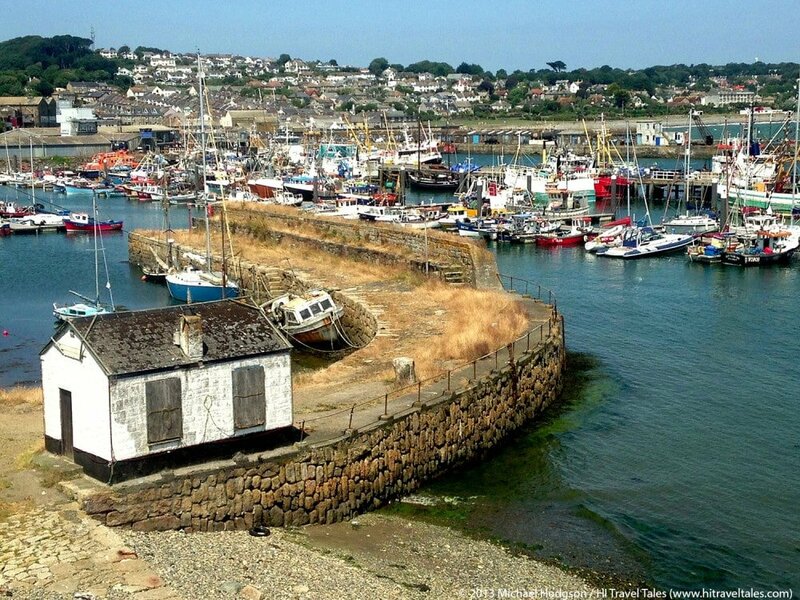 Every little town and harbor along the Cornish coast offers picturesque scenes such as this one taken from the footpath above the town of Newlyn. 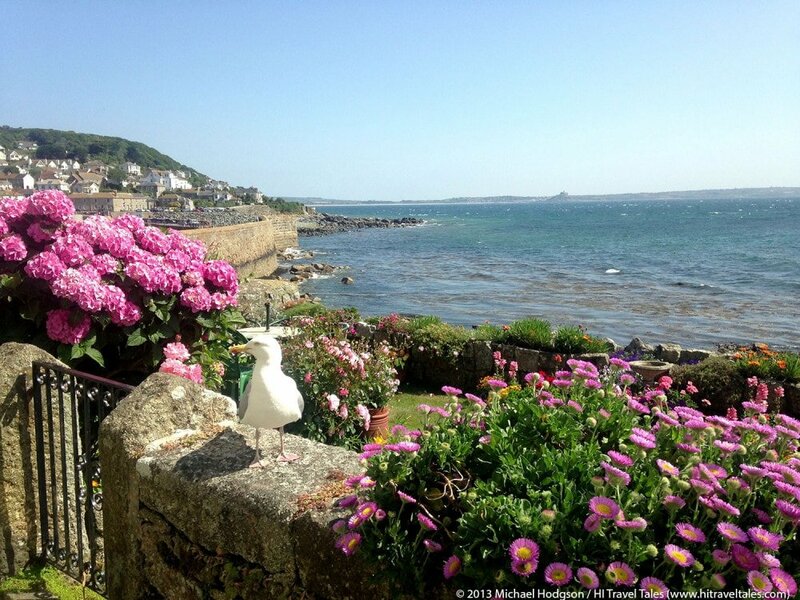 Here, we are looking from a small B&B garden down a quiet walk overlooking the harbor of Mousehole. 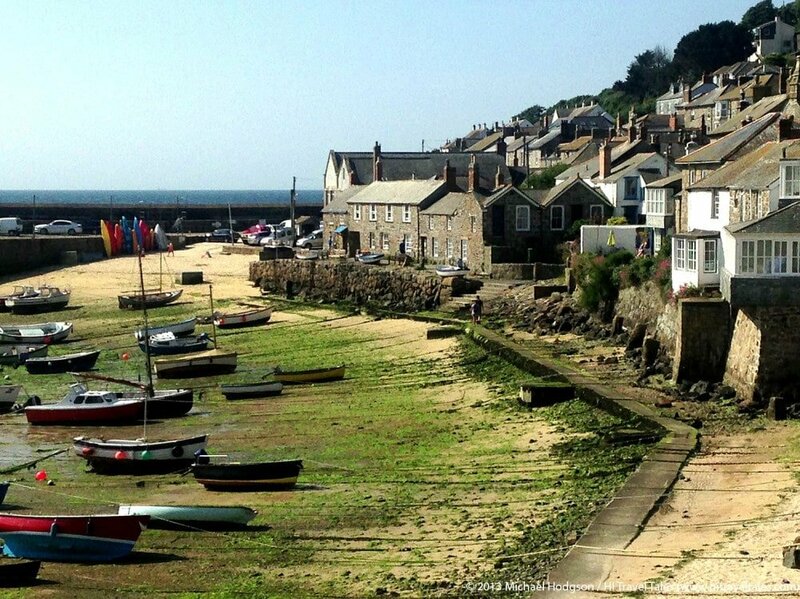 Looking along the Mousehole harbor walk, just inside the sea wall protecting the village. On a nice day, benches are occupied by people enjoying famous (and rich!) Cornish ice cream. 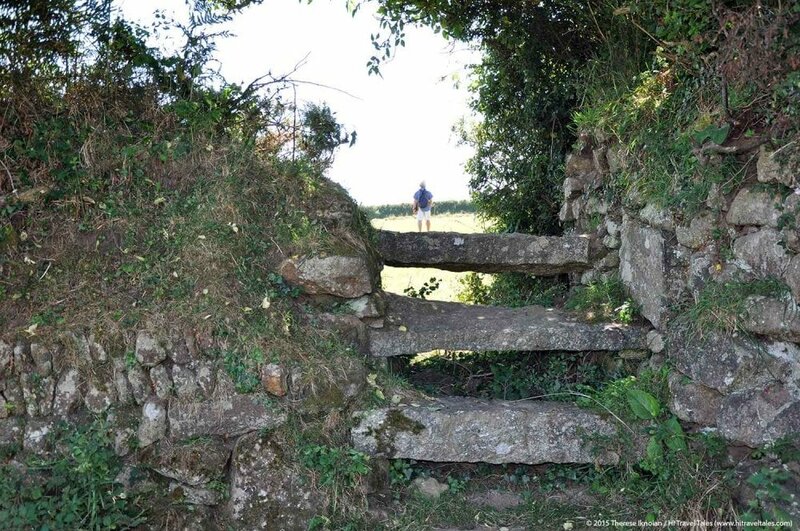 If you take the time to look and explore, you will find hidden pathways wandering out of Mousehole and up into the hills overlooking the village. Charming rock stairs and walls beckon! Changeable weather is a fact of life in the coastal villages. 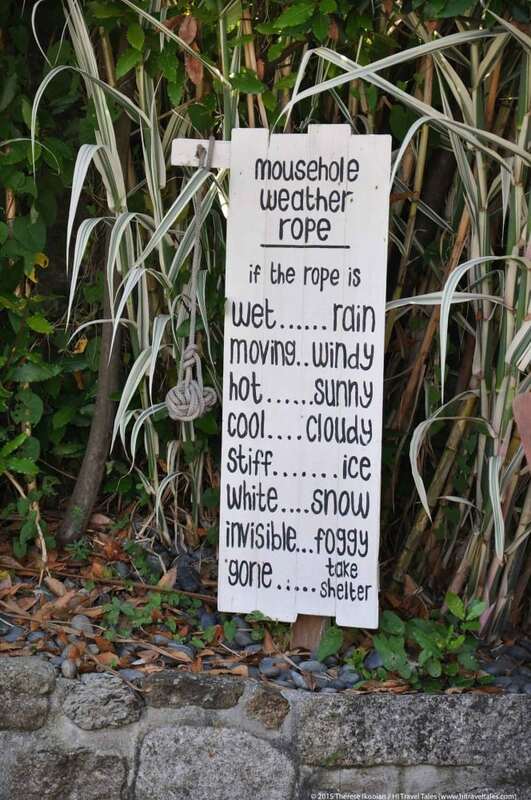 And a sense of humor is essential, as evidenced by this Mousehole Weather Rope sign in an area restaurant. 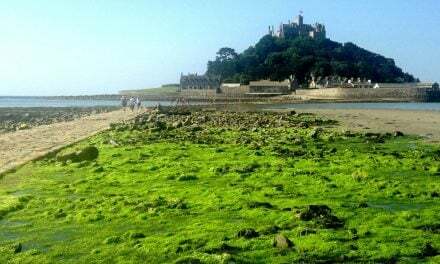 Crossing the causeway on foot during low tide to St. Michael's Mount near Penzance, Cornwall. 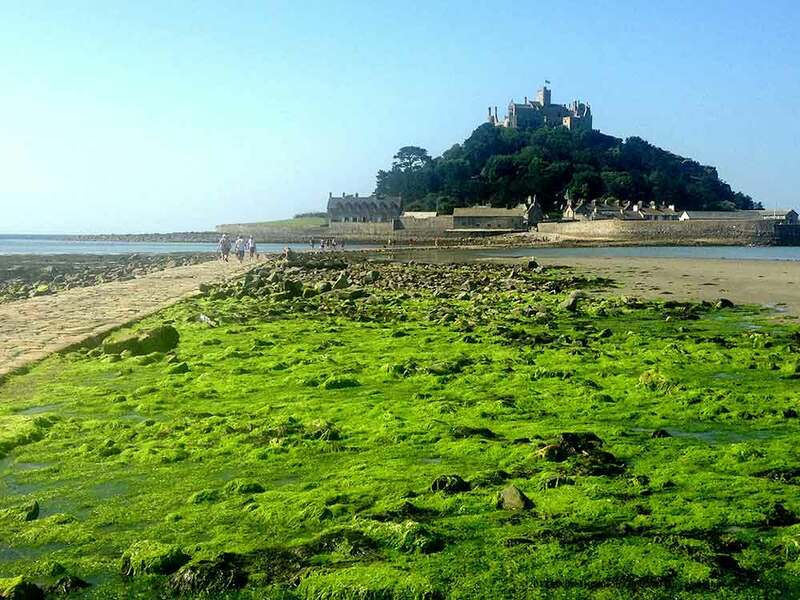 Looking up at St. Michael's Mount from its wonderful rocky gardens — groomed yet wild at the same time. Paths wind their way around the base of the castle through the visit-worthy gardens. 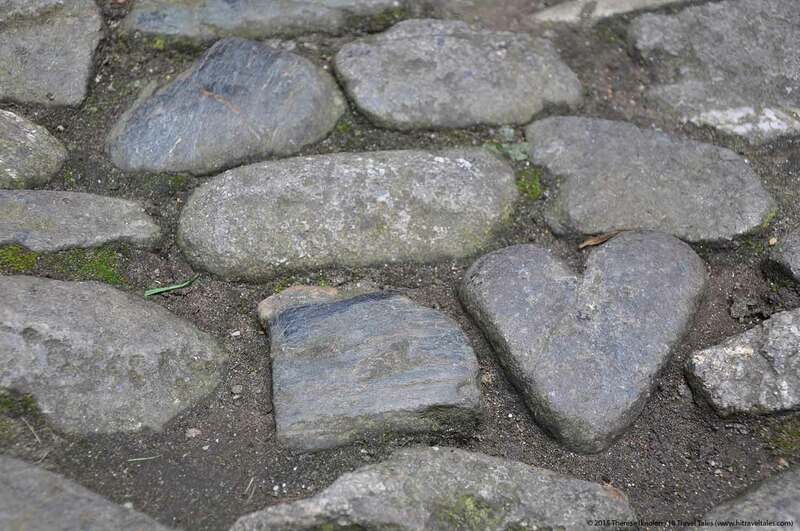 On the steep walk up to the castle on St. Michael's Mount, be sure to look for the heart-shaped stone on the path. 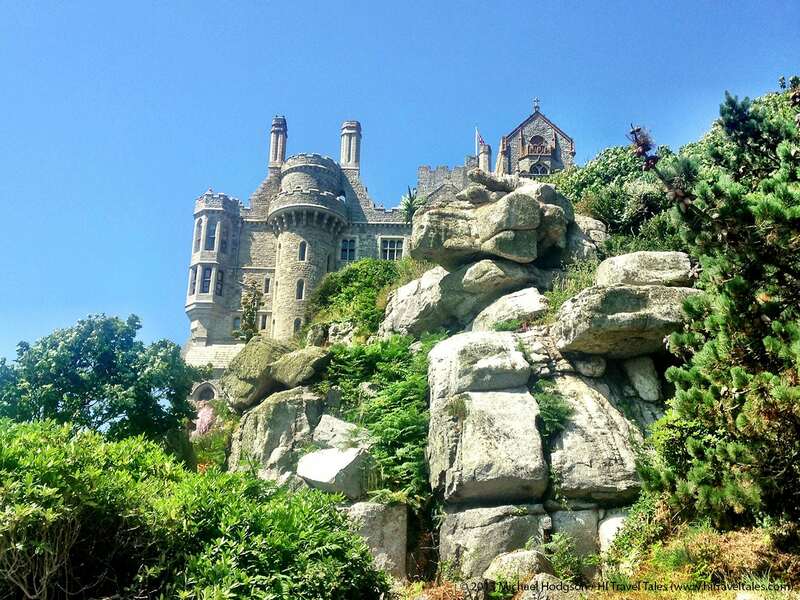 This stone, according to popular mythology, is the heart of a giant by the name of Cormoran who first built the castle and was known to go ashore to steal livestock from farmers. 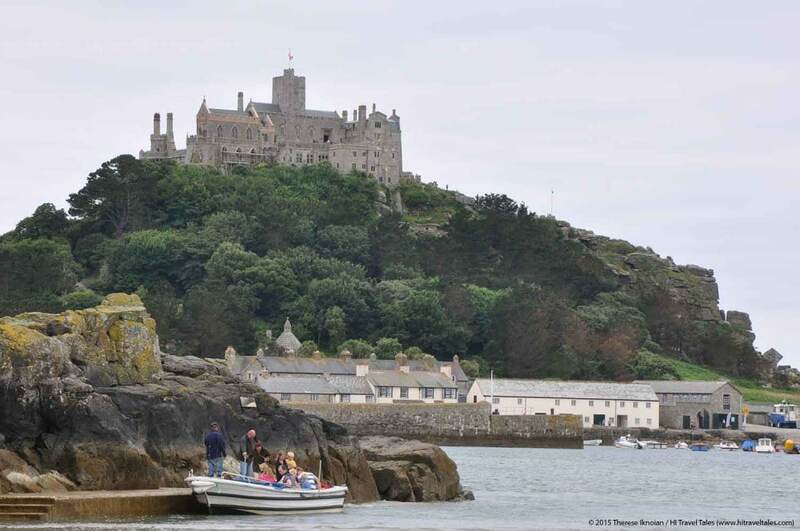 Ferries take visitors across to St. Michael's Mount whenever the tide is high — otherwise you can walk across, but time your visit well. 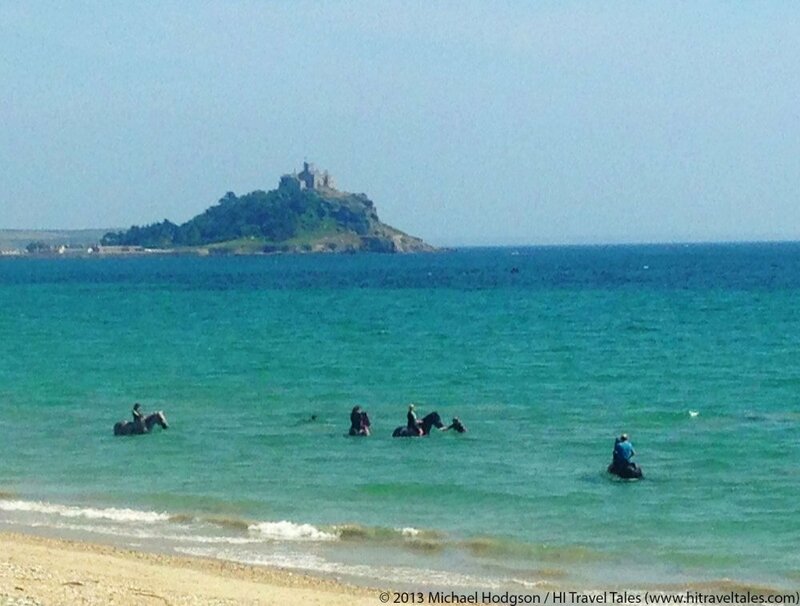 Horses from a nearby stable are exercised on the beach and in the ocean with St. Michael's Mount in the background. Enjoy the universal magic of colorful boats of all sizes bobbing about in small village harbors. 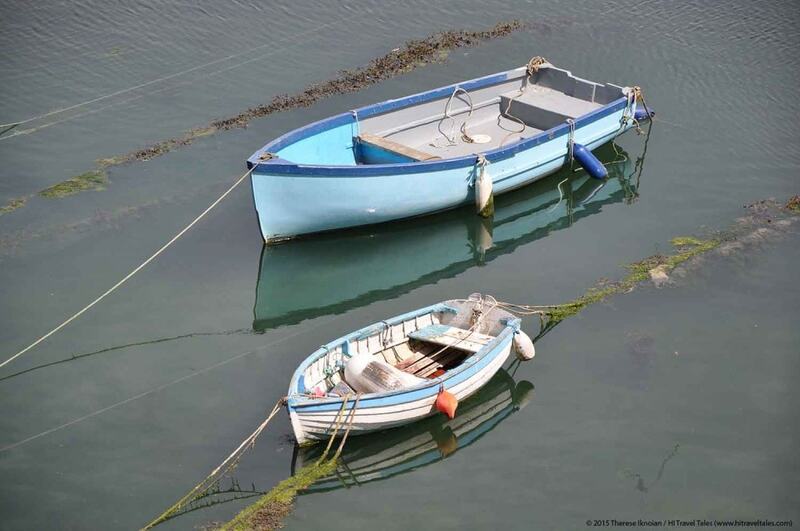 As the tide ebbs and flows, the boats are either grounded or floating! 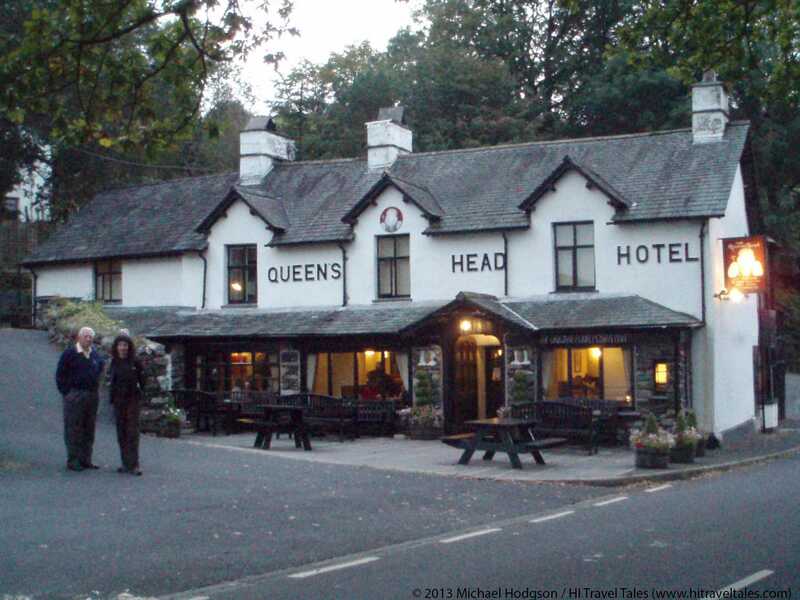 The historic Queens Head Hotel (a 17th century Coaching Inn) is a proper English pub located in Troutbeck, in England's Lake District. 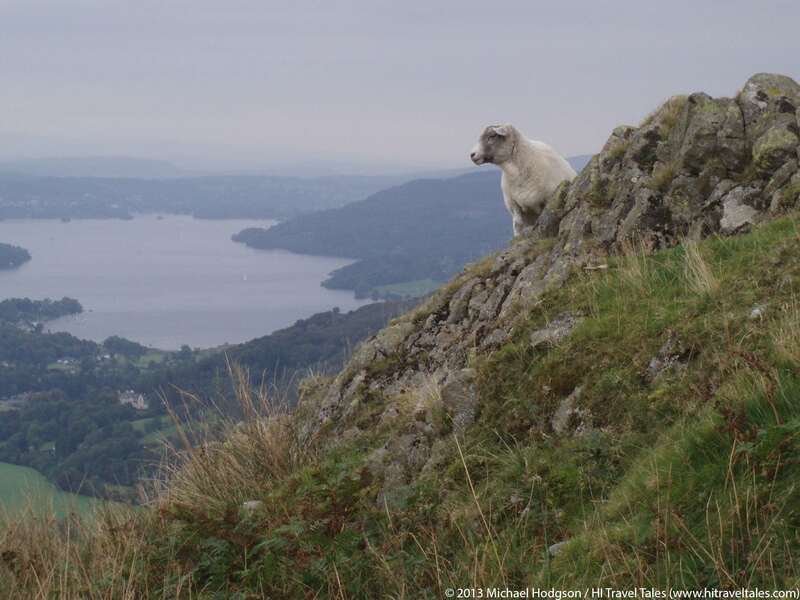 A perfect place for a pint and a rest while exploring Lakeland. 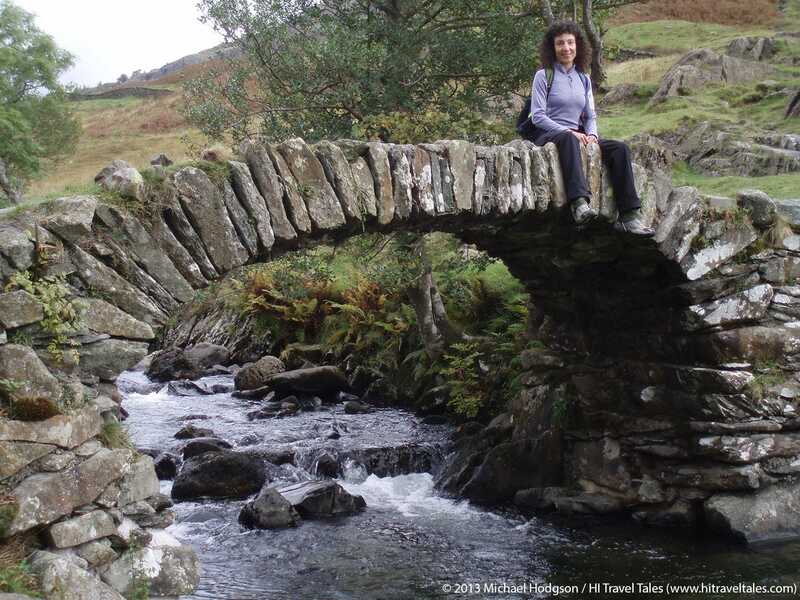 Historic paths and stone bridges add a flavor to any walk in the Lake District. Therese Iknoian enjoying a few moments above this stream just outside of Lake Windermere. Swirling mists are common, but beautiful during the walks that thread the hillsides above Lake Windermere in England's Lake District. 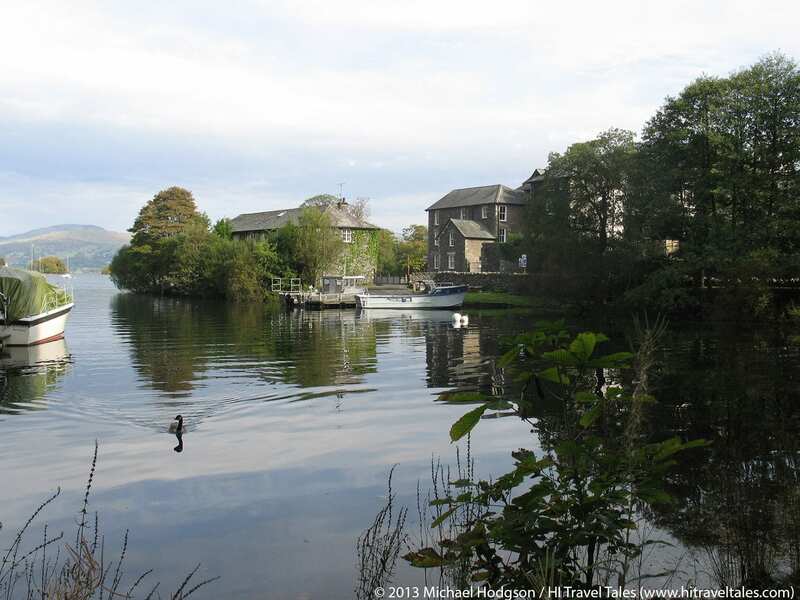 A tranquil moment on Lake Windermere in the Lake District of Northern England.